Any facilities manager responsible for maintaining a heavy duty industrial floor will tell you. Durable, safe, affordable and aesthetically pleasing flooring systems keep their business up and running. Whether in a food and beverage plant, automotive garage, waste transfer station, blast freezer, brewery, manufacturing warehouse or other type of business, they’re always looking for easy, efficient solutions that keep costs down and production downtime to a minimum. One of the tricks of the trade is staying up-to-date on changes to industrial flooring systems. In the last 35 years, flooring has evolved to meet the changing requirements of the food and beverage industry, for instance. Today, more flooring solutions address the unique needs of food and beverage facilities such as hygiene-healthiness, durability, compression, tensile strength, washdown capabilities, drainage and temperature tolerances with creative, customizable flooring options that keep pace with customer preferences. 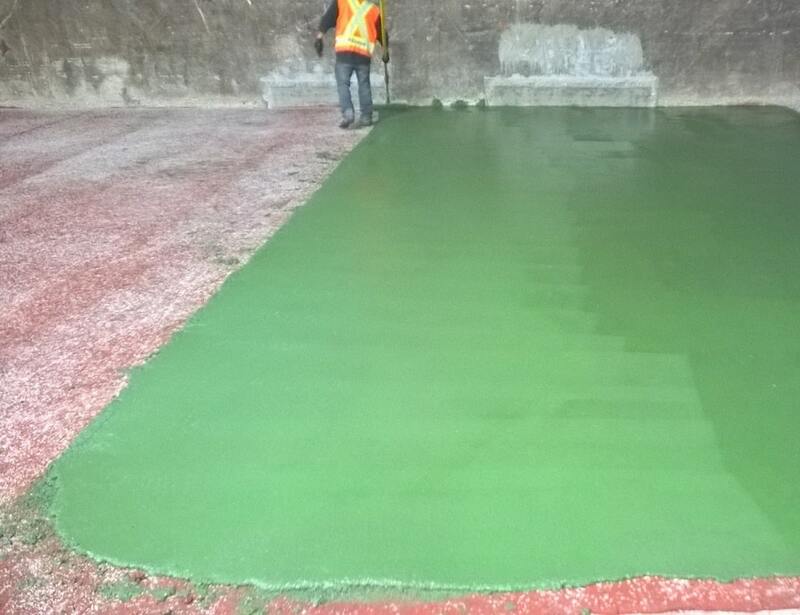 Cementitious Urethane – Developed in 1968, urethane cement is seamless and contains resin, hardener and cement-based aggregate that is trowel-applied or broadcast onto an existing flooring substrate. The more aggregate it contains, the more compression strength and resistance to wide temperature swings it delivers. It contains no cracks for moisture or bacteria buildup, improving hygiene and washdown performance. It can handle heavy loads, it is tough enough to resist impacts from tools or equipment without chipping or cracking and it is outpacing all other new and retrofit flooring put together in terms of successful installations. Ucrete and Flowcrete are great brand examples. A Ucrete IF (Iron-Filled) floor can actually increase impact and abrasion resistance because it is formulated to withstand wider temperature fluctuations and tolerate both organic and inorganic acids, alkalis and salts. Unlike epoxy, cementitious urethane expands and contracts at the same rate as concrete during wide temperature swings, creating little chance of delamination or cracking. Methyl Mythacrylate (MMA) – MMA is an acrylic resin that cures quickly -requiring only 45 minutes of drying time with each coat- and cures in cold environments -down to as low as -20°F. MMA is often a preferred choice for cold rooms and freezers, and for flooring projects that require the least amount of downtime possible. During installation, MMA emits an odor due to high VOC levels. Installers must wear respiratory masks and use negative air equipment throughout the installation process. Epoxy – Once the norm for a variety of industrial floors, epoxy is relatively affordable and has a pleasing aesthetic finish. Spreading epoxy with squeegees in a thin coat over a concrete substrate is an easy application, too. However, its brittleness and its inability to withstand high-temperature washdowns and caustic chemicals has relegated this flooring solution to lighter foot traffic zones, dry storage areas and customer showrooms. Tile – With an aesthetic appearance and its availability in a variety of colors and finishes, tile is a material of choice for beautiful-looking floors. Vitrified ceramic tile is also tough, highly resistant to corrosive cleaning chemicals and wide temperature swings. The installation costs is high and many worry about how the grout will hold up. Under certain conditions, grout can crack and collect dirt, moisture and bacteria, although modern versions provide excellent strength and antimicrobial sealing properties. Many flooring solutions combine the four basic types of products. For instance, cementitious urethane is often applied to a concrete substrate followed by an epoxy topcoat for added luster and aesthetics. Vitrified tile can be set in epoxy and use a high-seal epoxy grout to add strength, mechanical loading, chemical loading and antibacterial hygiene. One of the advantages of tile is its durability. If a customer wants a new floor to last 35 to 40 years with little wear or maintenance, many flooring contractors would specify vitrified ceramics. That’s a long time for an industrial floor, especially in light of advances in flooring products. When a customer wants the floor to last as long as possible beyond 10 years, urethane cement is often recommended. Savvy flooring contractors will also recommend that a seamless urethane concrete flooring solution be applied in two layers of contracting colors, such as red and green. The facilities manager can gauge where the floor is wearing, how long it takes and when it’s time for a new floor, judging from the color. This can save money and time, depending on how a facilities manager applies this information to the flooring budget. Today’s facilities managers are not only looking for safety and durability in their choice of flooring projects, many want sustainability as well. They’re interested in products made from renewable resources, such as aggregate that comes from recycled glass and resin made from castor beans. If a plant manager can achieve higher LEED points for their facility, it could give them an advantage at tax time, while still helping to make a potentially slippery and dangerous floor as slip resistant, durable, easy to clean, stain resistant and able to withstand thermal shock as possible. Get a look at successful industrial flooring system installations completed by Surface Solutions by visiting our Work Showcase.